Prime Minister and Minister of Finance Perry Christie addressed attendees during the official launch of The Bahamas Trade Information Service Portal, held at the British Colonial Hilton April 6, 2017. The initiative is the first of its kind in The Bahamas and one of only a few trade information portals in the Caribbean Region. 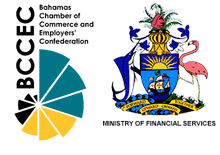 The establishment of the trade portal, in collaboration with The Bahamas Chamber of Commerce and Employers Confederation (BCCEC), is an important part of the Government’s ongoing efforts to diversify the Bahamian economy by expanding trade in both goods and services with regional, hemispheric and international trading partners. Additionally, the trade portal is a unique online platform that is yet another step in the direction of the government in fulfilling the objectives of the national development strategy, which seeks to strengthen the use of information and communications technology in the country’s development. The Ministry of Financial Services and the Chamber of Commerce will work to ensure that the information provided through the portal effectively meets the needs of business enterprises. This year the Nassau Airport Development Company is celebrating 10 years at the helm of operations at Lynden Pindling International Airport. Staff and dignitaries recently attended an anniversary event with a keynote address by Prime Minister Perry Christie. Baha Mar Convention Centre was the stage for this year’s Cacique awards celebrating the best in tourism and culture. Watch a ZNS Network news report here.